Brilliant black and white top hat print for this Hi-Hat single sleeve. Los Angeles. Thanks again to Ryan at hockey dad records. Alta fidelidad High fidelity Ecuadorian 7" single sleeve. I like brown paper printed sleeves. This lovely sleeve is for Grafson records from Turkey. beautifully simple design and I love this colour. Iempsa-Odeon 45rpm from Peru. another great Polish Czech record company sleeve Hity Supraphonu. back and front are both as good as each other. dobra! 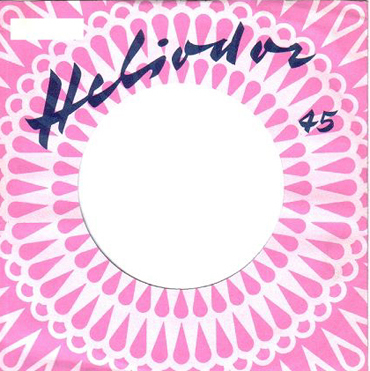 very pretty German Heliodor 45. Thanks to Andre.